It has been a few years since the popularity of Cold Pressed juices exploded in the United States and around the world. 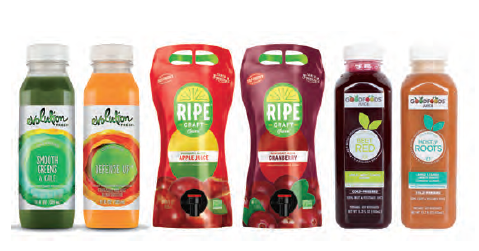 Big companies like Coca-Cola, Campbell’s and Starbucks have invested in cold-pressed juice companies and continue funding to keep up with the market demands. 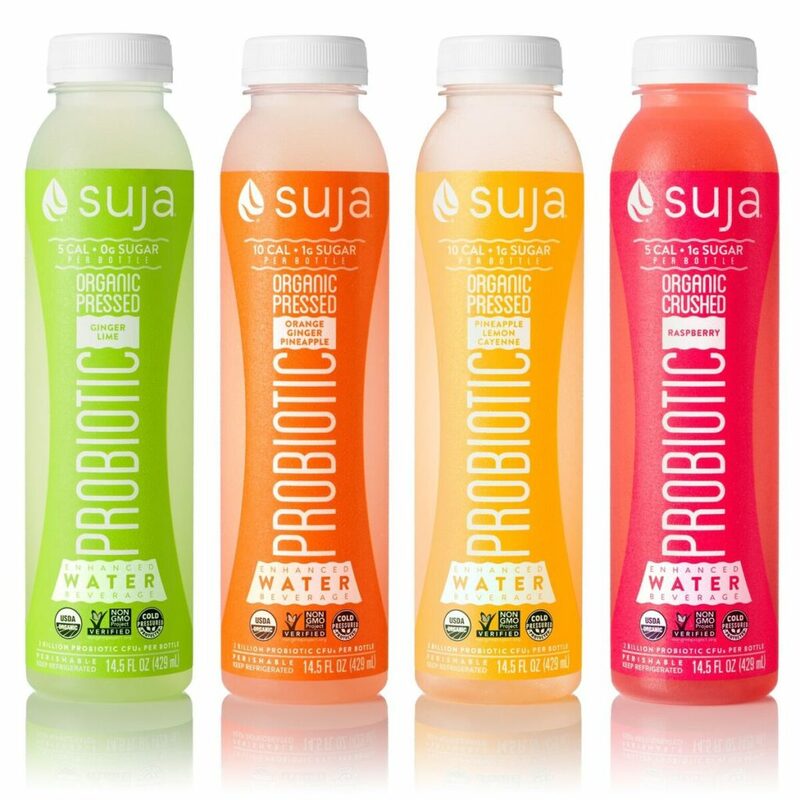 For example, Coca-Cola became a shareholder of Suja, whereas Starbucks acquired Evolution Fresh. 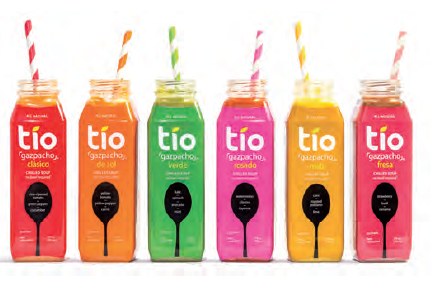 Now, the Cold-Pressed juice trend is a well-established segment in the Beverage sector. 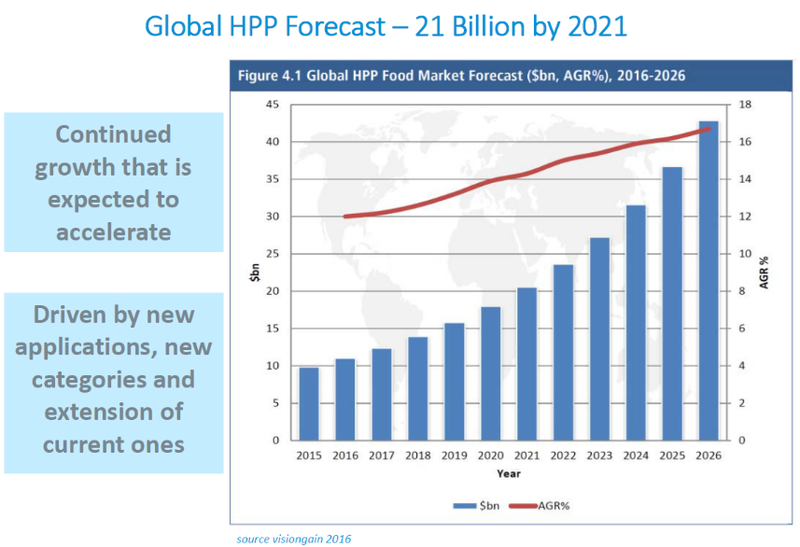 This growth is the consequence of consumers desiring fresher, better-for you foods and beverages that can only be achieved using a non-thermal pasteurization method like HPP. High Pressure Processing (HPP) has been used commercially for over 15 years in the USA as well as other parts of the world and it is growing at a very fast rate. A recent report (Global High Pressure Processing Market: Trends Analysis & Forecasts to 2021) projects to reach by the end of 2021. 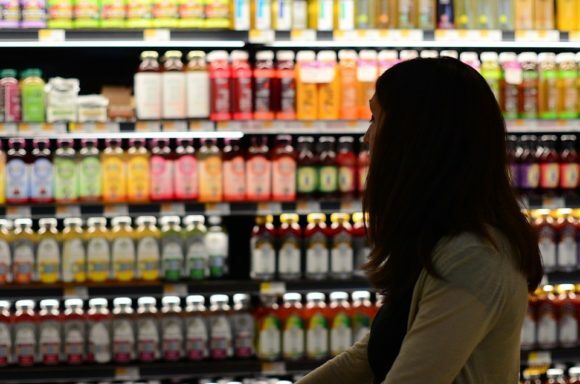 Consumers’ demand for HPP beverages (cold-pressed juices, cold-brew coffee or tea, or milk replacers) is increasing because their unique attributes in terms of flavor, nutritional quality and freshness. This is the fastest-growing sector, representing 390 million litres worldwide (around 30 % of global HPP food production). Premium Quality: HPP preserves sensory, nutritional and functional properties for extended time, from three weeks to three months or longer in refrigeration. Brand Protection: Beverages safety is ensured by eliminating pathogenic microorganisms (e.g achieving 5 log reduction of the pertinent pathogens). Market expansion: Shelf life extension of HPP Juices/Beverages allows to explore novel product development and reaching new markets. For example, a just squeezed orange juice that is High Pressure Processed can maintain its original flavor and all its vitamins and nutrients for more than 4 weeks. 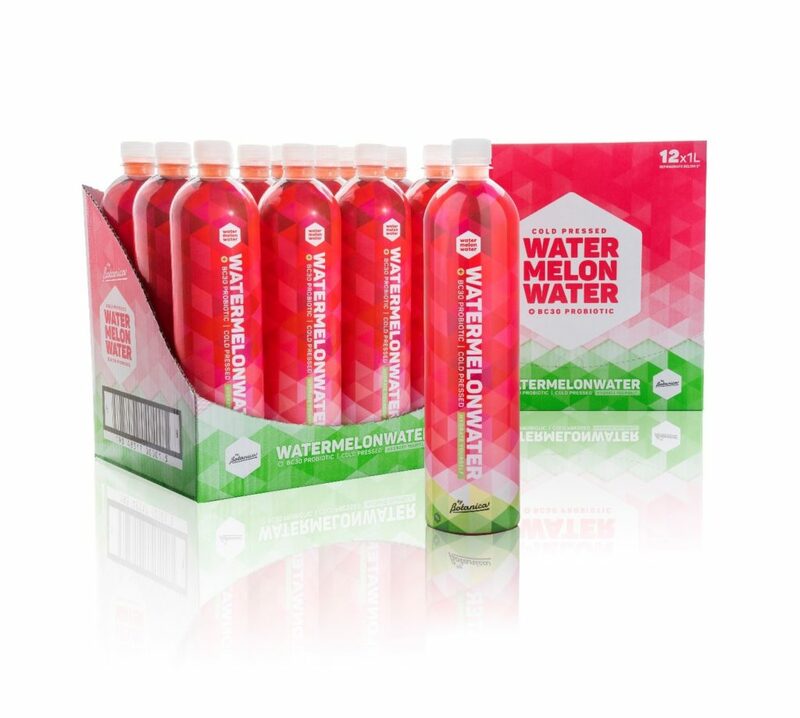 Up-trending HPP watermelon and coconut water beverages are an important source of electrolyte salts (i. e. magnesium, potassium, sodium, etc.) 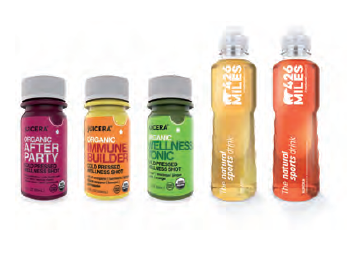 that enhance body rehydration with a natural approach. Ready-to-Drink (RTD) meals like vegetable soups have gained recent popularity among busy consumers with tight daily schedules. Popular Spanish tomato soup “gazpacho” is a great example of high quality RTD meals that have largely benefited with HPP. Beneficial bacteria with digestive enhancing effects known as “probiotics” may survive HPP, adding an extra value to the already health promoting HPP juices. Conversely, HPP may reduce the microbial concentration of fermented products like kombucha and kefir to stop fermentation and avoid premature spoilage. The HPP beverage market continues to expand to novel applications throughout the world. 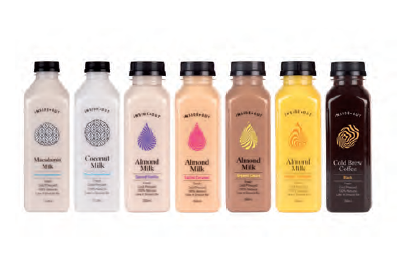 HPP keeps the distinctive properties of plant-derived milk substitutes such as almond, hemp and soy “milks”. 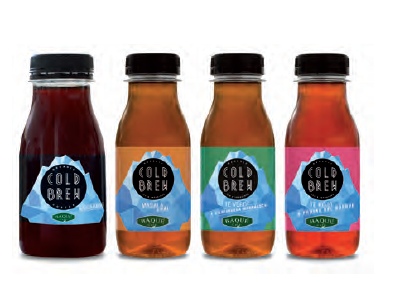 Processing cold brew coffee and cold infused tea with HPP allows to extend the shelf-life extension without using high temperature, maintaining their delicate aroma and flavor, as well as their bioactive compounds. A great variety of novel beverages based on wheatgrasss, algae and other antioxidant-rich ingredients, that provide an extra-boost of stamina without the high sugar intake of conventional energy drinks. 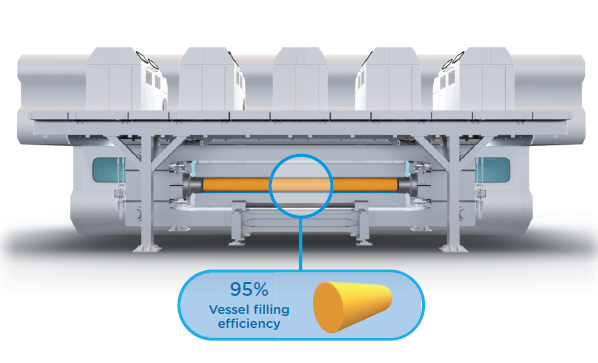 Until now industrial HPP machines have worked following an “in-pack” concept, processing already-packaged or bottled products only. As a response of the accelerated market growth and in order to meet the increasing demand of the HPP beverages market, Hiperbaric has launched a revolutionary concept, the Hiperbaric Bulk, a range of equipment designed to process up to 10,000 l/h of beverages in bulk before bottling. If you want to know more about the HPP technology and how to improve the food safety and the quality of your products, contact us, the world leading manufacturer of High Pressure Processing (HPP) equipment for the food industry.